This year was no different! 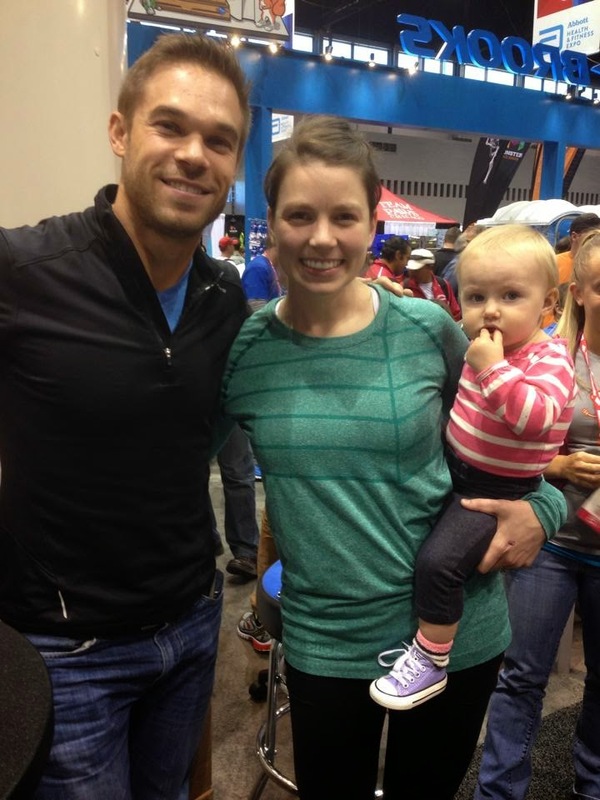 I headed to the expo on Friday and got the chance to meet Olympian Nick Symmonds. If you don't follow Nick on social media, you should. He's pretty active and always thankful to fans (he was the first one to "like" my pic on IG after I posted it). I got a signed copy of his new book and I'm excited to read it. 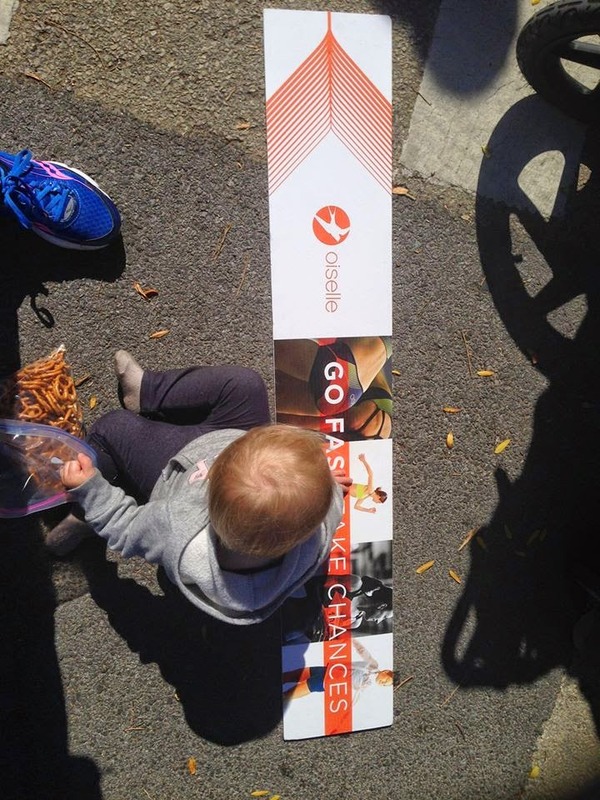 He was someone who moved from the giant Nike train to Brooks. 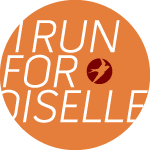 As an ambassador for Oiselle and seeing some of our own athletes move from more giant sponsors, I'm interested to read about Nick's perspective and experience. Thanks for the photo opp! 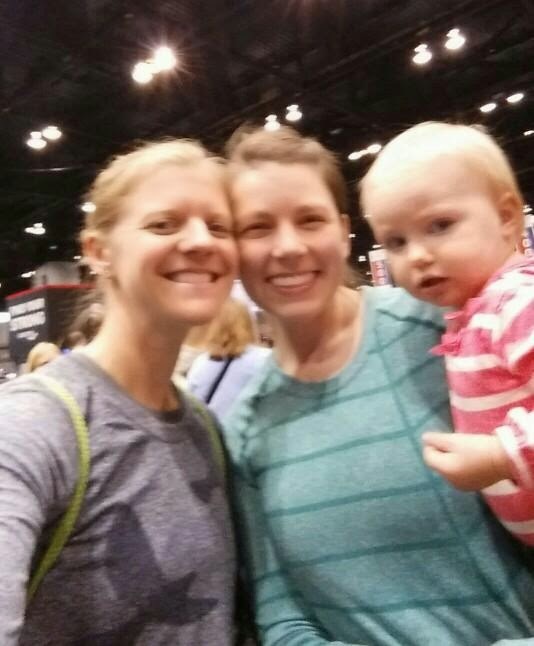 I also got the chance to meet fellow Mommy Blogger Danielle at the expo, who came in from Maine for the event! Spoiler alert--she BQed! Go say hi and tell her congrats when you get a chance! Don't mind the blurs. We were excited. Now, onto the main event! I went downtown with Patsy, parked at our usual spot, and walked to my favorite spectating spot. Mile 17. 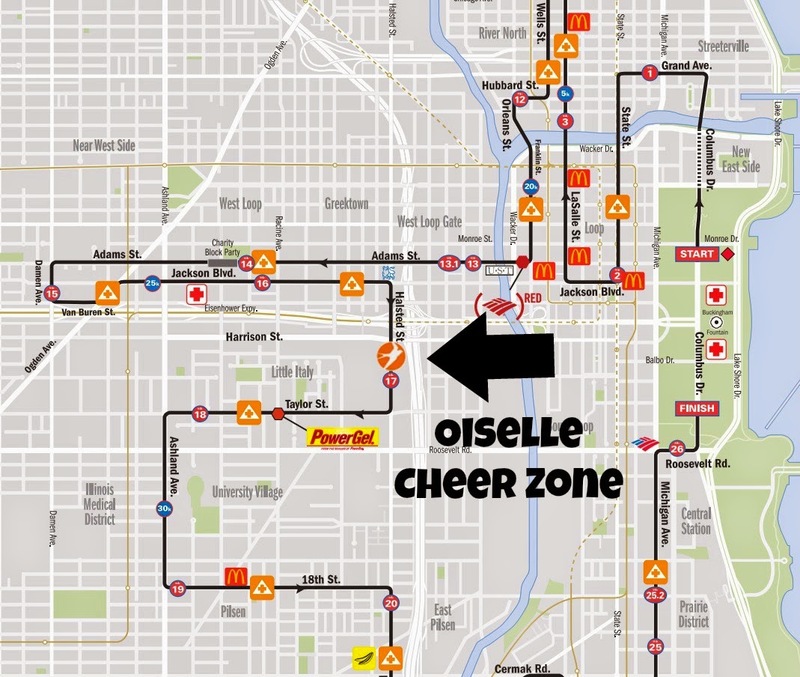 I wanted to have a special cheer zone for all of my fellow Oiselle teammates running the race. I wasn't extremely clear with the EXACT location so I think I ended up missing some folks. Now I know for next time! Cindi met me and we had a blast cheering on our teammates and friends. Kim also came all the way from Wisconsin with her husband and daughter to cheer on friends as well. One cowbell wasn't enough for Patsy. She needed more. Patsy was SUCH a trooper and loved having fun cheering on everyone! She was pooped afterwards and slept most of the afternoon. I missed the post-race party because it started much later than I thought and we were ready to head home. 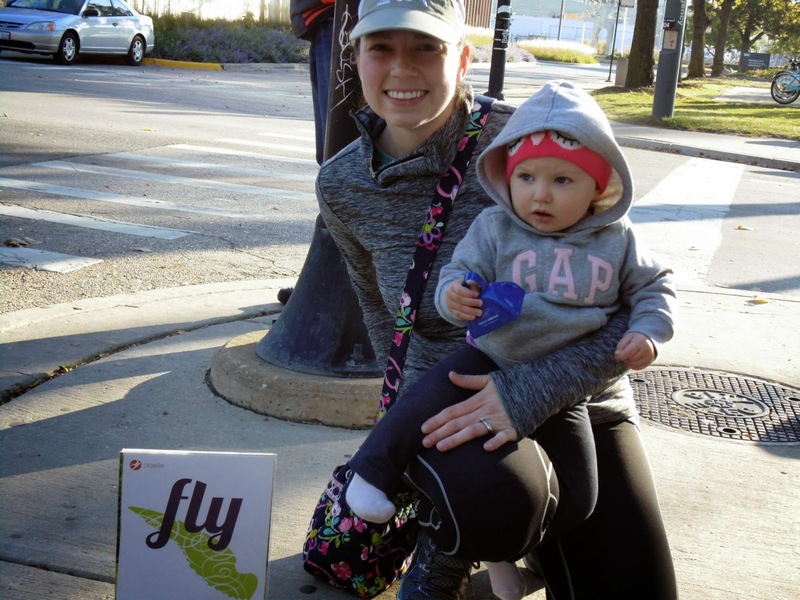 Thanks for the inspiration runners! 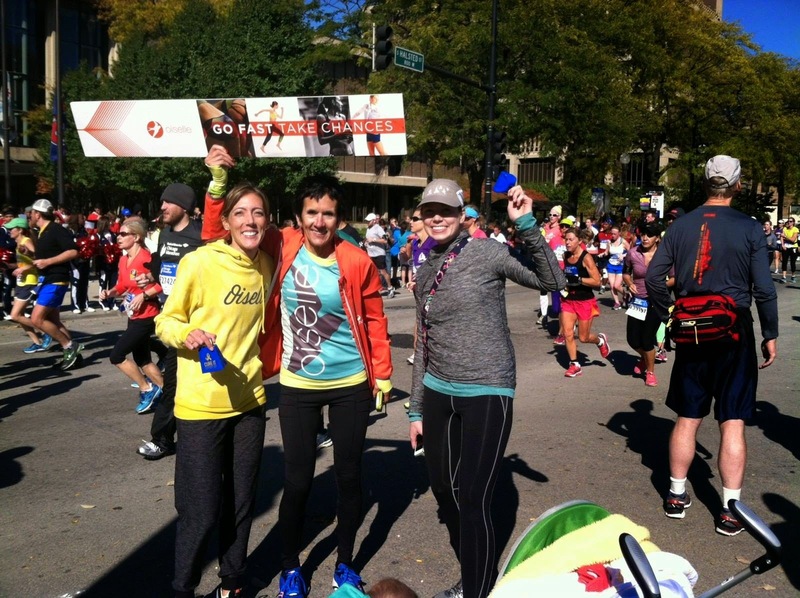 That Chicago Marathon medal is still something that I want to have some day. 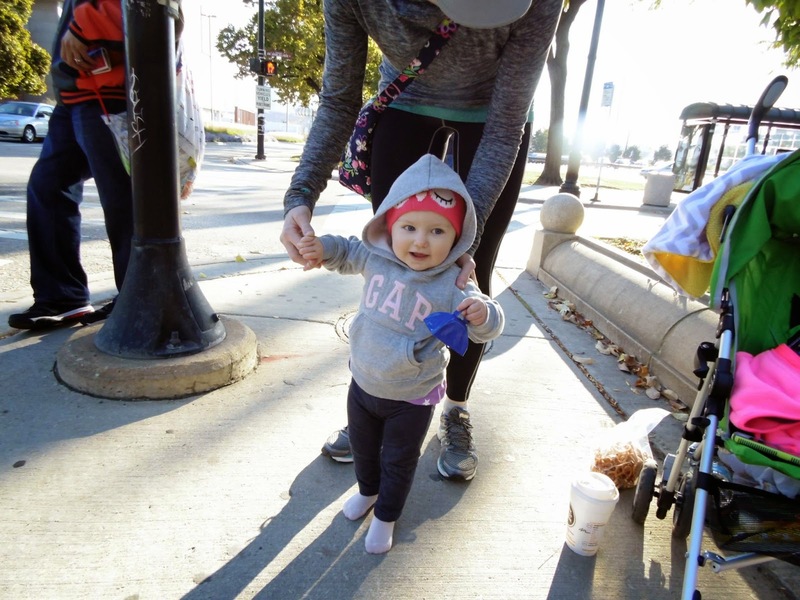 We'll see you again next year, on the sidelines, at mile 17! Thanks for your support on the course! I wish we would have seen each other, but there is so much going on, that stuff happens. 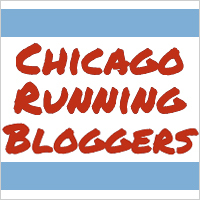 Wow, I just read your post about your 2011 Chicago Marathon attempt, it's amazing you ran another one a week later!! 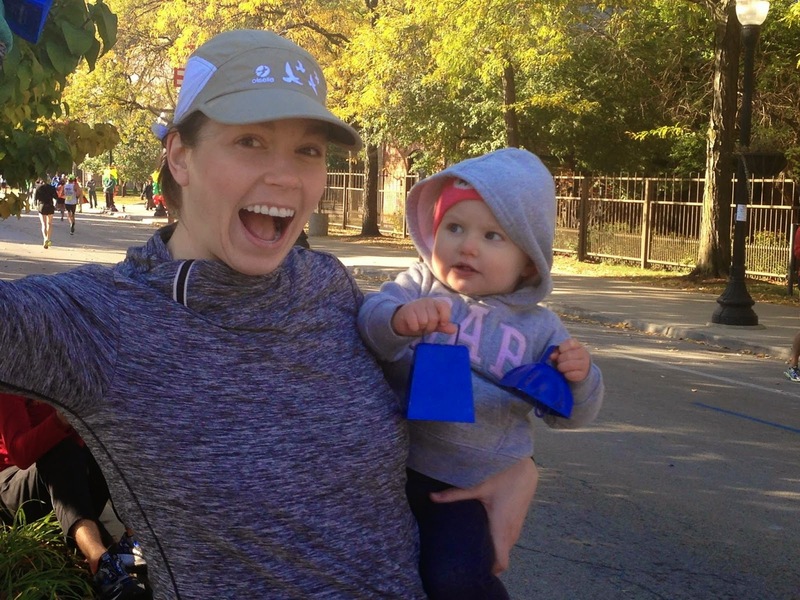 They'll be plenty more Chicago Marathons for you to get that medal in the future, but until then I'll be looking for you (and Patsy and her cowbells) at mile 17 next year! Sorry I missed your smiling faces! I didn't even know to look for you! Next time!! Thanks Pete! Yes, 2011 was a bit of a rough go. I got so frustrated with myself. I made a lot of newbie mistakes and I want to make A LOT improvements the next time I give it a go. Congrats again on a great race! I know the Chicago Marathon will be waiting for me when I'm ready for it! Spectating is SO fun! I love it too. I wish I could have been there with you in the cheer zone! Thanks Paulette! If I remember correctly, you've run the Chicago Marathon before. It definitely is a fun time for the runners and the spectators! It is a wonderful event! Yep 2010. It was SO HOT and I did terrible. But still a great event!